Arman Sadeghi talks about how to have incredibly abundant energy by focusing on health, nutrition and fitness . 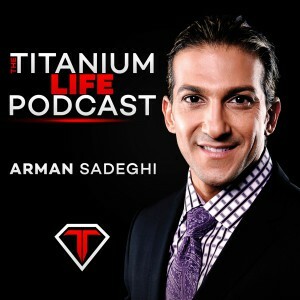 Arman’s knack for breaking down complex subject matters into an easy to understand format comes in very handy in this episode. He explains why you should focus on what you eat if you want to lose or gain weight and why you should focus on your workout if you want to shape your body. This entry was tagged Business, Growth, Happiness, Learn, Motivation, Motivational, Personal Developement, Self-Help, Titanium, Titanium Life. Bookmark the permalink. ← 5- The One Percent!